Take your first step towards a rewarding career in law and develop sought-after skills, including commercial awareness, personal integrity and an ethical approach. This is a Qualifying Law Degree recognised by the Law Society of England and Wales and regulated by the Bar Standards Board and Solicitors Regulation Authority. During the course, you’ll study modules such as ‘Higher Education Skills and Competencies’, ‘Criminal Law and Procedure’, ‘Public Law and the Law of the European Union’ and ‘Practical Tort Law’. By the end of the course, you’ll have the intellectual tools and knowledge to tackle real-world issues within the legal sector or within legal departments of organisations. 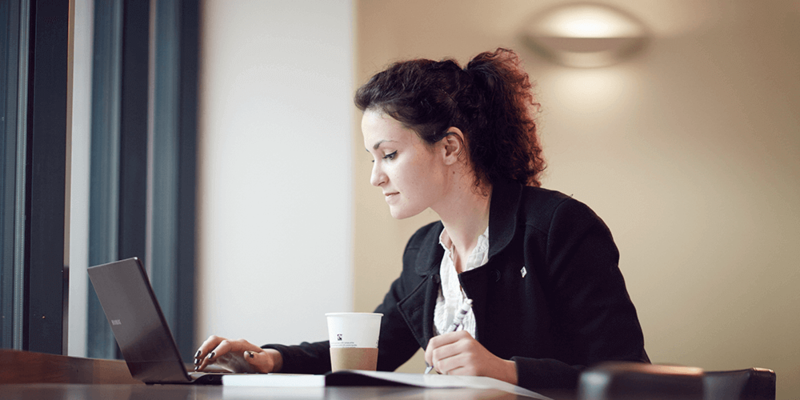 You can stay on to complete our innovative LLM Legal Practice (LPC), can opt to sit the new Solicitors Qualifying Examination that will be introduced from 2021, or could decide to take a Bar Professional Training Course. You’ll be taught by passionate academics who produce ‘internationally excellent’ research. A typical week for you will include lectures, seminars, group work and e-learning. We encourage you to develop study skills and carry out independent legal research. You will also have opportunities to present ideas to other students and develop concepts within groups. A number of modules incorporate court/tribunal visits, video presentations and visiting speakers. As well as assessments that count towards your degree, there are also on-going assessments for feedback and consolidating your learning. Assessment methods include research assignments, case studies, problem questions, practical activities, reports and exams. Following completion of the LLB degree, you can progress on to LLM Legal Practice which is focused on helping you secure a training contract or your first legal job. The course includes the Legal Practice Course (LPC) which is the qualification required to qualify as a solicitor in England and Wales. Read more about LLM Legal Practice. Sunderland Student Law Clinic provides quality, free legal advice and assistance to local members of the public and start-up businesses. All work is carried out by students who are supervised by nine qualified solicitors with over 140 years experience between them. Students can choose to study in Sunderland Student Law Clinic in their final year of their undergraduate studies and all students studying to become a solicitor on our LLM Legal Practice LPC spend at least half a day each week in clinic, meaning that some of our students leave us with two years' live client work experience. Students can work voluntarily for work experience in Sunderland Student Law Clinic each summer, regardless of their stage of study. A law degree provides you with the foundation subjects that are required for entry into the legal professions. But the understanding of legal implications and obligations, combined with the ability to combine this knowledge in practice, is valuable in many parts of the public, private and voluntary sectors. Employers from different sectors value the skills of clear thinking, logical argument and effective writing and sectors where a degree in law will be beneficial, include, property development, banking and finance, HR or Civil Services. 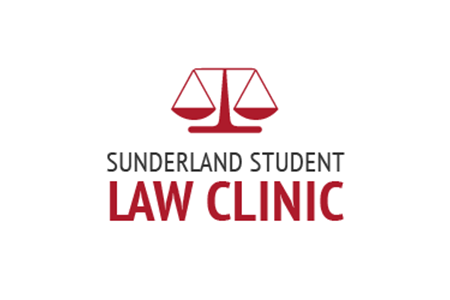 Sunderland Student Law Clinic provides quality, free legal advice and assistance to local members of the public and start-up businesses. All work is carried out by students who are supervised by 9 qualified solicitors with over 140 years experience between them. Students can choose to study in Sunderland Student Law Clinic in their final year of their undergraduate studies and all students studying to become a solicitor on our LLM Legal Practice LPC spend at least half a day each week in clinic, meaning that some of our students leave us with two years' live client work experience. Students can work voluntarily for work experience in Sunderland Student Law Clinic each summer, regardless of their stage of study. Sunderland Student Law Clinic offers advice and assistance in relation to business matters, consumer disputes, civil disputes, crime and criminal appeals, housing, landlord and tenant, intellectual property, wills and probate and powers of attorney and court of protection work. In 2016/17 over 70 students assisted over 400 individual clients and provided 'streetlaw' presentations to business and community groups. It's not all hard work: each year there is a 'Great Clinic Bake Off', legal walk and charity quiz night to raise money for good causes and, as a reward for all our hard work, we have the office Christmas party-not to be missed! In addition, we host the North East Law Centre, providing you with the opportunity to experience family law work under legal aid agency conditions. To enhance your experience of standing up in front of people and delivering a clear argument, we encourage competitions run by the Mooting and Debating Group. In Year 2 there is an optional ‘Mooting’ module. It includes an outdoor performance workshop at the coast to engage in activities around voice projection and the power of oral argument. In addition, you will have the opportunity to enter the CEDR National Client Negotiation Competition, where teams representing UK university law schools compete against to find the most effective negotiators. The winners of each regional final are awarded a one-day negotiation skills training course, giving them even more tools to use as they compete in the final. Over course of your programme, you may also be offered the opportunity to participate in one or more field trips including a trip to London which includes a visit to the Houses of Parliament and the Supreme Court. You will also have an opportunity to compete against students from other Universities at the Client Interviewing Competition. The Client Interviewing Competition is a competition for law students run by a committee of law academics from law schools in England & Wales with prizes given by the Law Society of England & Wales. The annual competition focuses on the developing interview skills and counselling and is based around a simulated law office interview. Our invitations to guest speakers allow you to listen to people who are already progressing in their legal careers. Examples of past speakers include graduates of our course who are undertaking their Legal Practice Course or Bar Professional Training Course and others who have now progressed to their training contract. It’s a useful way to broaden your learning so that you’re prepared not just for exams but for life. Paralegals starting salaries can be between £12,000 and £20,000 a year, increasing up to £25,000 a year with a few years’ experience. With further experience and qualifications, this can rise to £40,000 a year or more. Salaries for qualified solicitors range from £25,000 to £70,000. Partners in large firms or heads of in-house legal departments can earn in excess of £100,000. Barristers can expect to earn between £73,000 and £210,000 a year (source: National Careers Service). The lecturers on the LLB course are first class, and only ever an email away when you need them. My mind was made up after being so enthused by the friendly vibe and modern feel to the campus. The staff are not only incredibly knowledgeable, but also friendly and approachable.